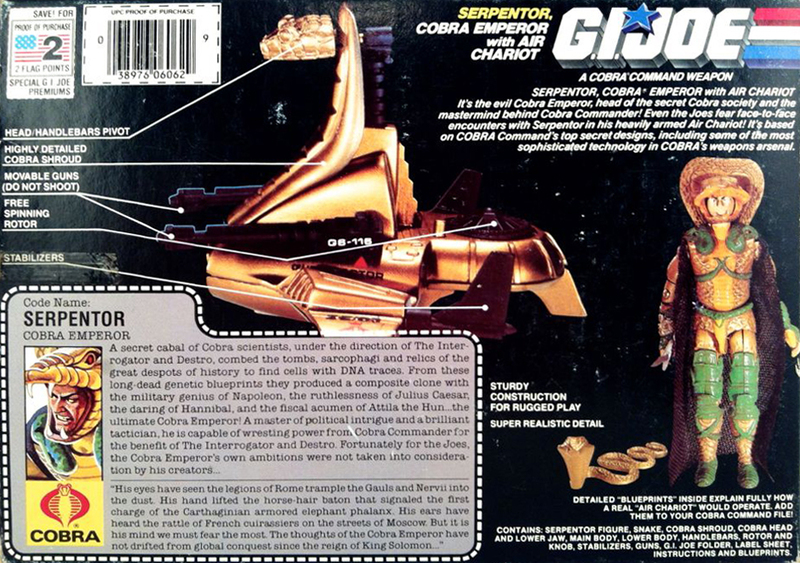 Earlier versions of Serpentor featured a painted yellow neck. You can see the yellow neck on the prototype figure on the back of the box. More than likely Hasbro made a running change and eliminated this extra paint app to lower budget or to address paint rubbing off of the yellow neck. Credit: NAJA EMPIRE from HissTank. Figure courtesy of Dan Carroll. Check out his eBay store for tons of vintage Joes! 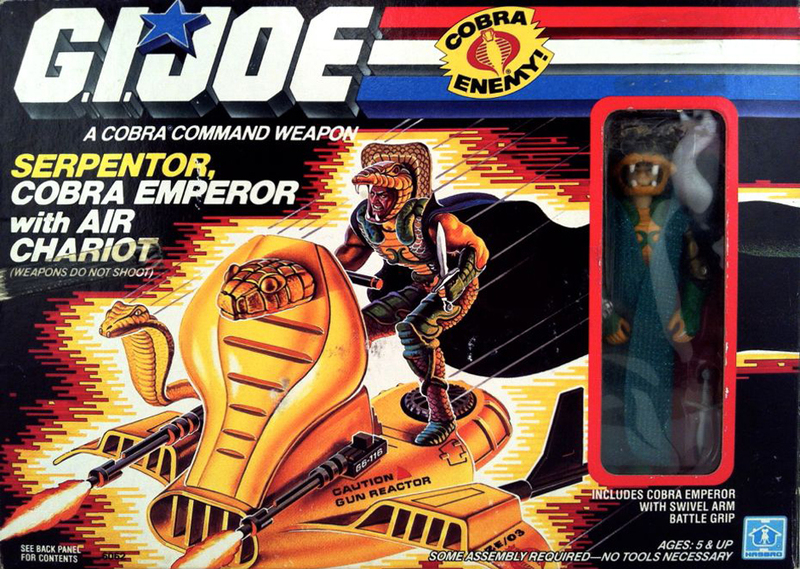 There were several versions of Serpentor's snake. Above you can see brown and gold snakes. 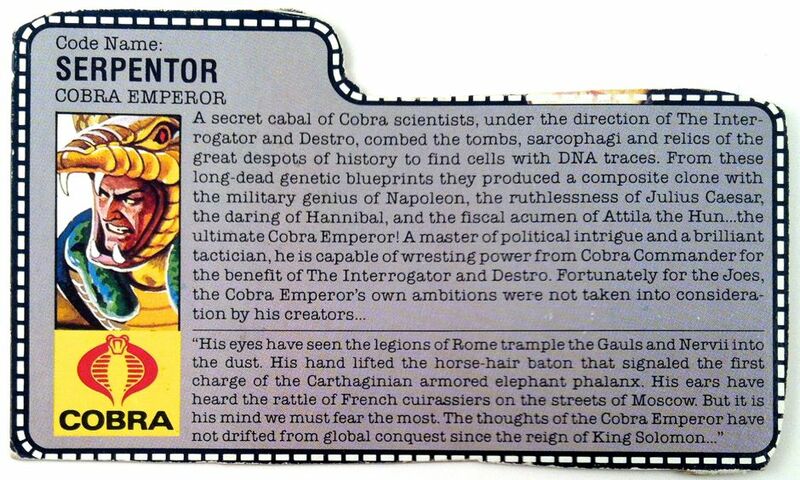 Ron Rudat (R&D Figure Designer) discusses the inspiration for Serpentor.